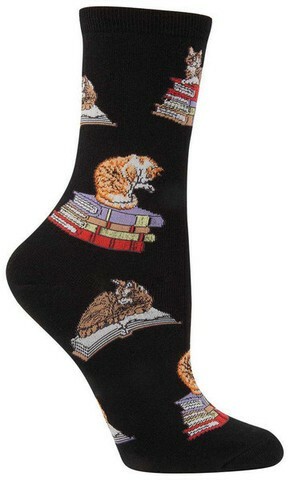 If she loves cats and books, then she'll be crazy about these socks that celebrate both! 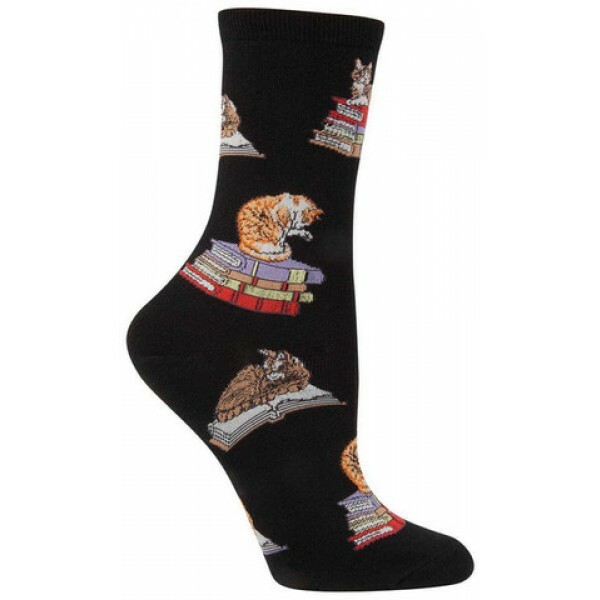 These 63% cotton, 34% nylon, 3% Spandex crew socks feature a fun prints of cats sitting on books on a black background. They come in one size, which fits women's shoe sizes 5 - 10.